Global Warming and How it Affects Us! 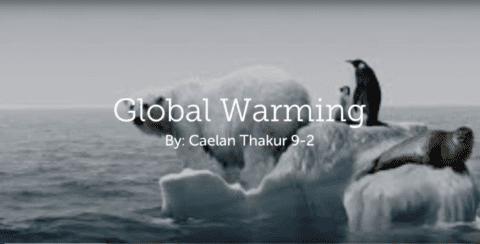 Home 2018 April 7 Global Warming and How it Affects Us! The issue i chose was global warming because i feel very strongly about preserving our planet. I also feel that it is our job to keep it safe and protect its fragile environment. Before i started this project i knew basics about global warming such as what caused it and what it was. I continued to research and now know details about what countries emit the most gases, how to stop global warming, and what specific gases cause the greenhouse effect. Global Warming and How it Affects Us! by Caelan is licensed under a Creative Commons Attribution-ShareAlike 4.0 International License.